Glasgow Rocks recover from a huge deficit in the capital to gain the initiative in the Play-Off Semi-Finals on Thursday night. 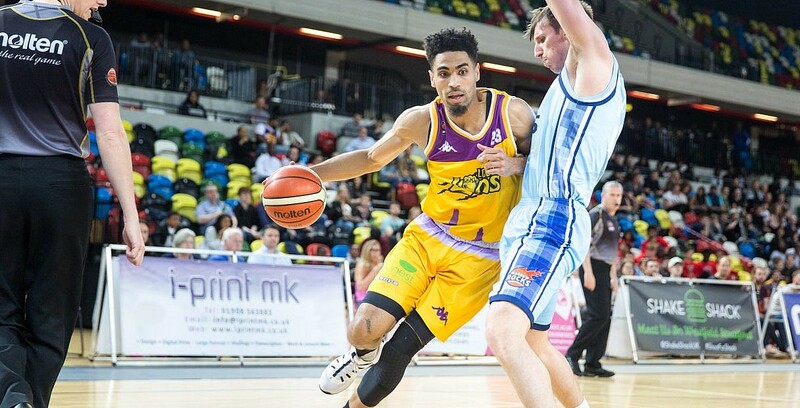 It’s arguably advantage Glasgow Rocks in the battle to make the 2018 BBL Play-Off Final at The 02, after the Scottish side shrugged off a nightmare start at London Lions in the first leg of the Semi-Finals. After initially being left with one knee on the canvas in the wake of an awful opening 15 minutes, the visitors recovered and came alive in the second-half during a stunning turnaround to establish the momentum in the tie. After an entertaining and roller-coaster encounter, Rocks will now have home advantage at the Emirates Arena on Sunday in what is now effectively a straightforward, winner-takes-all game. Key stat – Lions were in total control during the early exchanges as they made 6 of 12 from downtown, but then missed their next 13 attempts. It epitomised the up and down nature of the game. Also, as Rocks also changed gears and raised the tempo, it was noticeable they outscored their opponents 22-6 on fast break scores. Game hero – Late season signing Warren Gillis had his best game for Glasgow with a team-high 16 points and was supported by smart 5 of 6 shooting by Will Hall and an all-action 11 points, 9 rebounds and 4 assists from Great Britain’s Gareth Murray. Meanwhile Cory Dixon recorded a nice double-double of 18 points and 11 rebounds for Lions.